Colleges and universities are working with Embrace Relief to grant students internship opportunities. Students will experience how a non-profit organization functions and help conduct professional research for projects while providing support for people in need of humanitarian aid globally. 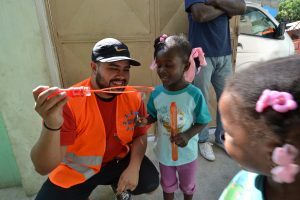 Students who are interested in making a positive impact in the world and gain professional experience with an international humanitarian aid organization will benefit from this internship.